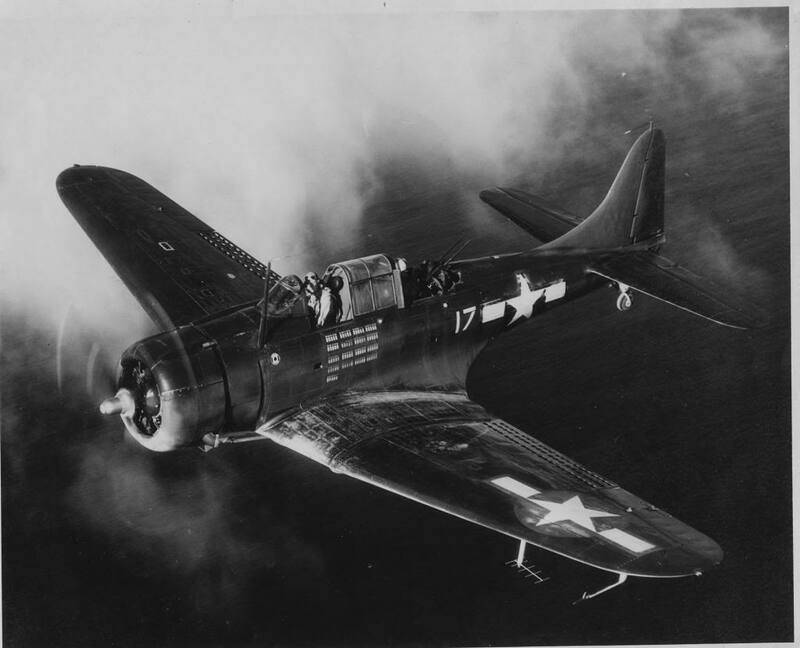 On the afternoon of April 27, 1944, a Douglas SBD-5 Dauntless, (Bu. No. 09747), overshot the runway while landing at the Charlestown Navy Auxiliary Air Field. The aircraft was on a ferry mission with a Marine Corp 1st lieutenant aboard. The aircraft first touched down at the approximate midpoint of the 1,400 foot runway. To the right of the runway was a parked twin-engine PBM Mariner with a bomb truck parked alongside. 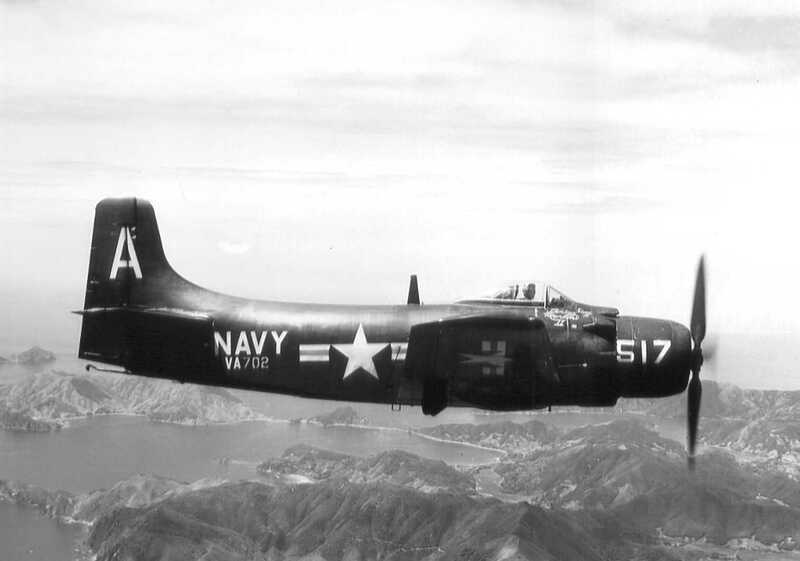 When the pilot of the Dauntless applied full brakes the aircraft swerved to the right, and its right wing struck the bomb truck causing the aircraft to pivot and crash into the fuselage of the Mariner. The pilot was not injured but the passenger suffered a cut lip. No other injuries were reported concerning the truck or the Mariner. Both aircraft were damaged beyond repair. U. S. Navy accident report #44-15665, dated April 27, 1944. 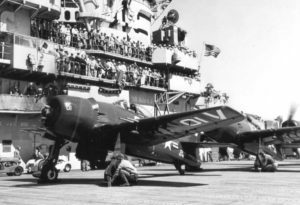 On the night of September 15, 1943, a pilot was making practice carrier landings at the Charlestown Navy Auxiliary Field in a Douglas SBD-5 Dauntless, (Bu. No. 11057). On his third approach he was given a “high out” and due to darkness, made a hold-off landing. The plane stalled and came down on the port landing gear causing it to collapse and break off causing damage to the port wing. As the plane settled the propeller was also damaged. The pilot was not hurt. The pilot was assigned to VC-32. On August 9, 1948, an F8F-1 Bearcat, (Bu. No. 94782), was taking off from the Charlestown Naval Auxiliary Air Station when the engine lost power just after the plane had become airborne and the wheels had been retracted. The aircraft came back down on the runway crushing its fully loaded belly tank which exploded and enveloped the aircraft in flames. 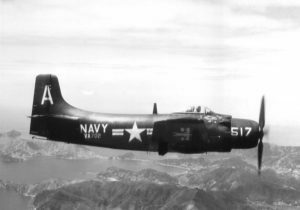 The aircraft skidded for 1,500 feet before coming to rest. The pilot was able to extricate himself, but the aircraft was consumed by fire. The aircraft was assigned to Fighter Squadron 10A, (VF-10A).